She will visit Suzhou and research the rich culture of Suzhou's embroidery heritage. 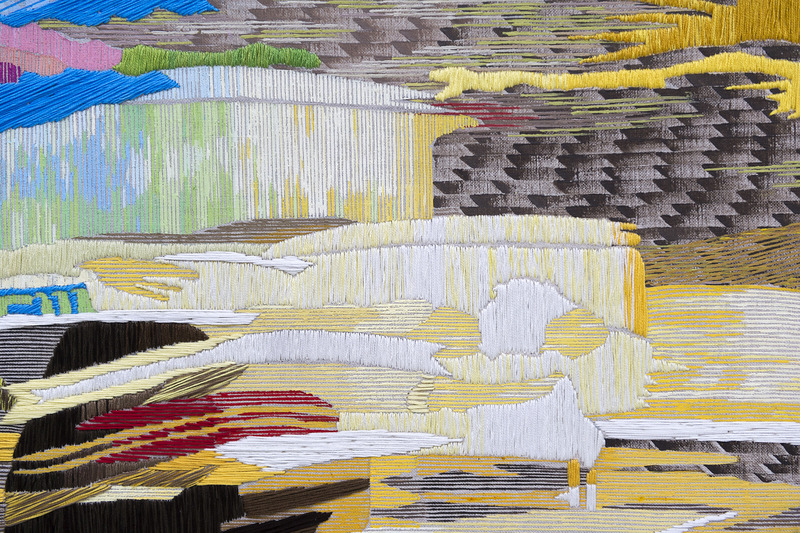 And also she will show and tell about her textile paintings. 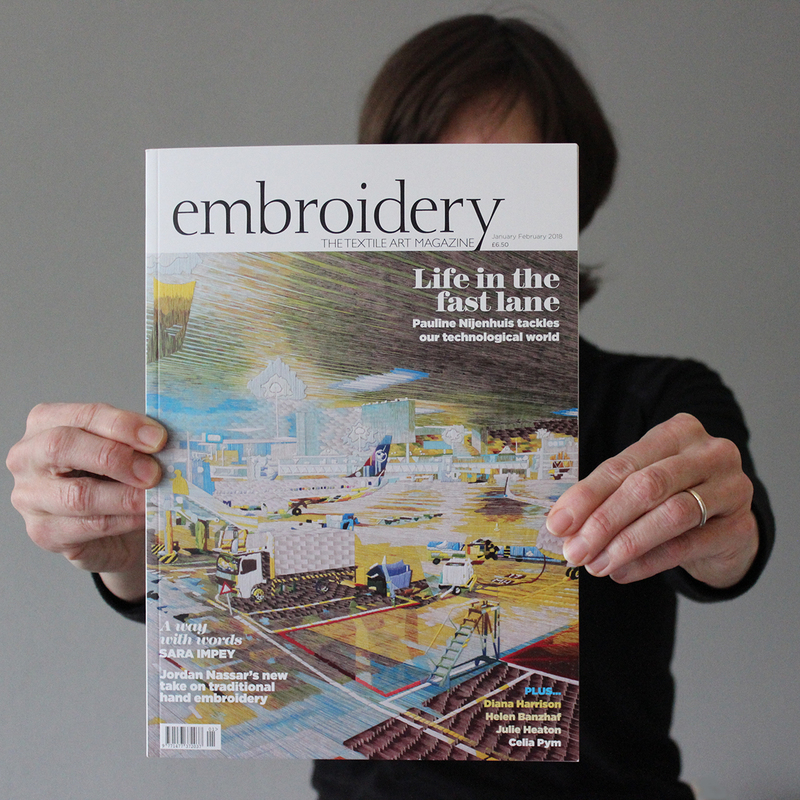 Embroidery Magazine has published an interview with Pauline by curator Jane Audas. Increasing speed in today’s Western society has a big influence on our lives, and the way how our surroundings and the landscape look like. Through automation processes, use of robots and the world of multimedia. What impact has increasing speed on our observation. Can our brains perceive the growing amount of fast pictures. And what are the consequences? Do we make the right decisions in our hurried lives? As an artist, Pauline wants to investigate ‘The price of increasing speed’. She creates images where speed is shown. From a moving car she photographs the highway landscape and city architecture. The result will be different depending on the speed of the car and the specific light on that moment. The faster the car drives, the more abstract the images get. The distortions in the picture give a different, new truth. In addition to textile paintings, Pauline also focuses on photography. Get acquainted with her new photo works printed on dibond with a top layer of acrylic. Uw gegevens worden alleen gebruikt voor het verzenden van de nieuwsbrief. U kunt zich altijd weer automatisch afmelden. Life in the fast lane - Jane Audas, 6 pages and cover! New works of art on page Photograghy!